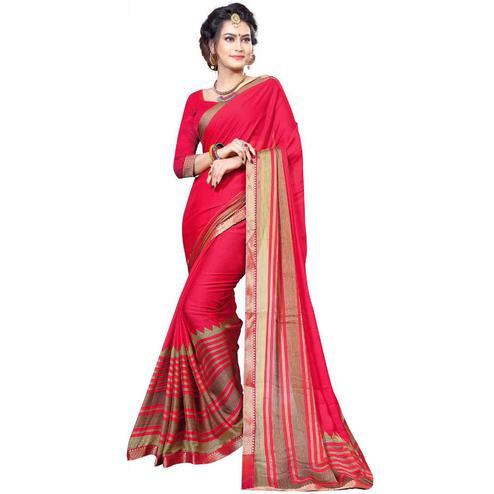 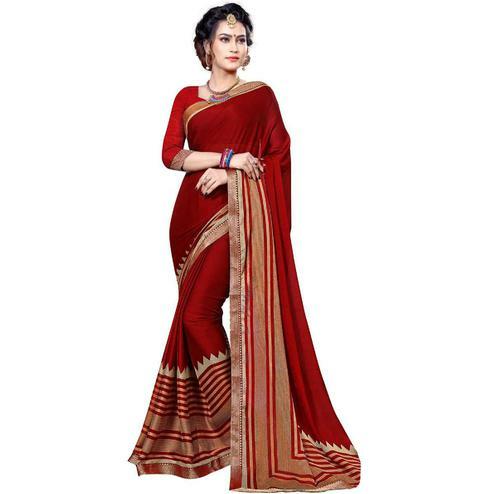 Add a touch of ethnic delight with this beige - red print work saree. 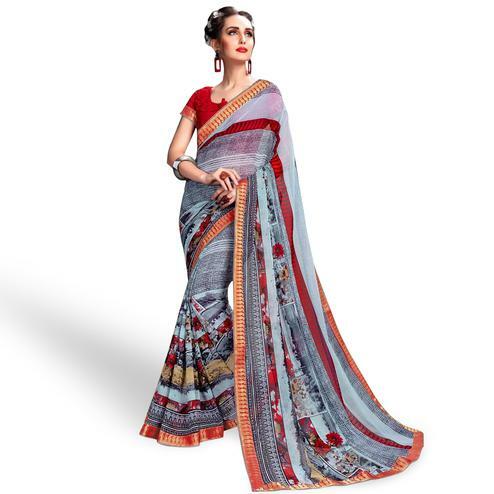 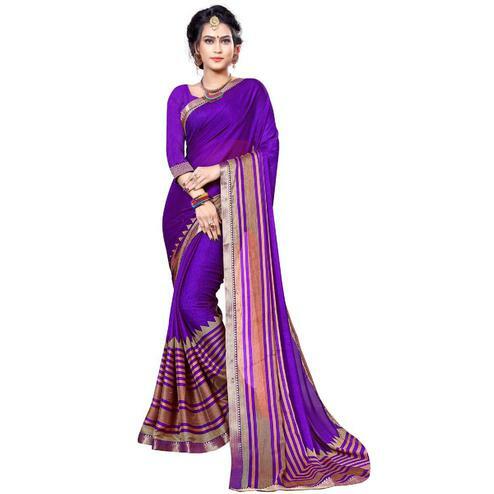 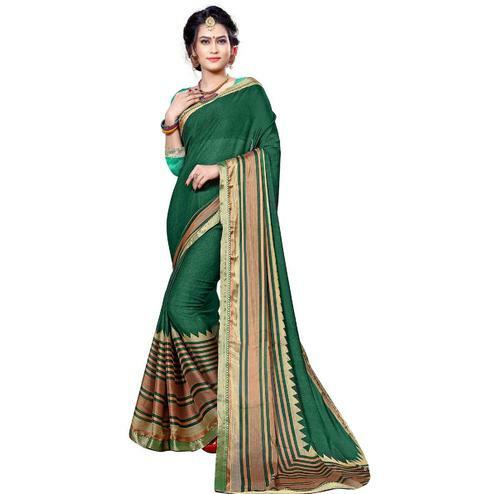 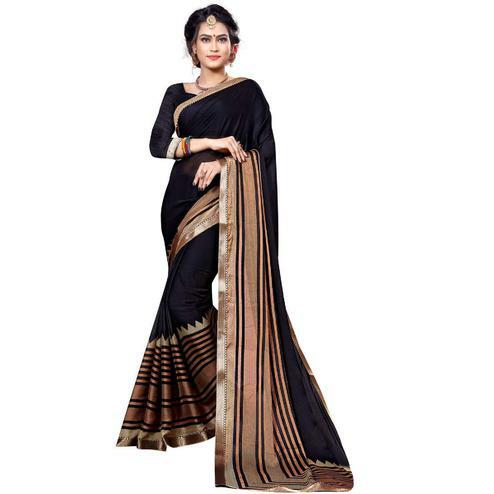 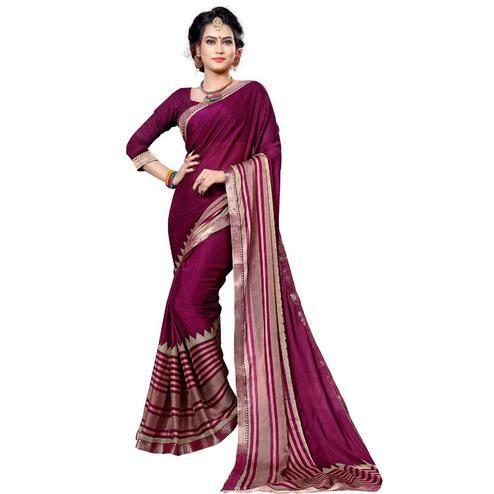 This saree made from bhagalpuri silk fabric is perfect for traditional function & casual wear. Saree comes along with an unstitched blouse.